But in lab experiments, there was evidence that caffeine blocked this inflammatory process. 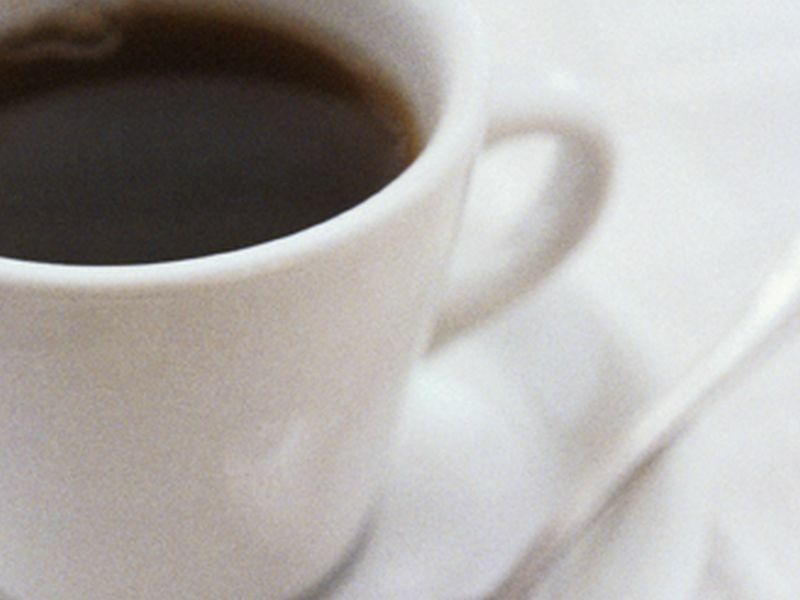 No one, however, is saying that morning cup of coffee is a magic bullet against aging. Still, the findings might help explain why past studies have linked higher caffeine intake to a longer life, said lead researcher David Furman, of Stanford University School of Medicine. The human body has "probably hundreds of pathways" that contribute to chronic inflammation and various diseases, according to Furman. "We identified one of them," he said. Furman added that substances other than caffeine might influence the inflammatory process. He pointed to the well-known example of omega-3 fatty acids (nutrients commonly found in fatty fish), which can ease inflammation. A researcher who wasn't involved in the study also cautioned against making too much of the caffeine finding. What's "really important" is that the study points to some molecular "targets" for new treatments to fight chronic inflammation, said Gabrielle Fredman. Fredman is an assistant professor at Albany Medical College, in Albany, N.Y., and a grantee of the American Federation for Aging Research. Researchers have long believed that lasting, low-grade inflammation contributes to most age-related chronic diseases -- including heart disease, arthritis, dementia and many cancers. Fredman noted that existing anti-inflammatory drugs have side effects, including immune system suppression -- which aren't desirable in older adults. So, she said, scientists are trying to develop treatments that target specific culprits in the chronic inflammation process. Whether caffeine could be one of those treatments is unclear. "There's some suggestion in this study that moderate caffeine might be enough to quell some of this inflammation," Fredman said. But, she stressed, it's too early to tell what it all could mean. "They didn't do a clinical trial that tested caffeine," Fredman pointed out. "Definitely, more studies need to be done." The study, published online Jan. 16 in Nature Medicine, included over 100 adults. For the past decade, the participants have taken surveys, given blood samples and had their medical histories reviewed. Furman's team compared blood samples from the younger and older groups, to see which genes were more "activated" in older adults. They zeroed in on two "clusters" of genes in which all of the members seemed to work together. Both clusters are involved in producing a potent inflammatory protein called IL-1-beta. It turned out that the older adults could be separated into two groups: Those with high activation in one or both gene clusters; and those with low activation. Of the 12 adults in the "high" group, nine had high blood pressure -- versus only one of 11 people in the "low" group. Those in the high group were also much more likely to have stiff arteries. On top of that, their blood tests showed differences: Older folks in the high group had higher levels of IL-1-beta. They also had higher levels of substances known as nucleic-acid metabolites. These are breakdown products of the molecules that serve as building blocks for genes. So, where does caffeine fit in? Those in the low activation group drank more caffeinated beverages. That led the researchers to take a deeper look in the lab. First, they incubated immune system cells with the nucleic-acid metabolites that were prevalent in blood from the "high" group. They found that the metabolites boosted activity in one of the inflammatory gene clusters. That, in turn, caused the immune cells to churn out more IL-1-beta. When injected into mice, the substances triggered widespread inflammation and high blood pressure. Next, the researchers incubated immune cells in both the nucleic-acid metabolites and caffeine. They found that caffeine appeared to block the inflammation-triggering substances. According to Fredman, the results point to some "targetable" substances for anti-inflammatory treatments. Past research has shown that IL-1-beta tends to be elevated in people with cardiovascular disease, Fredman said. And a clinical trial is currently testing the effects of an IL-1-beta inhibitor in heart disease patients. On a broader level, Fredman said, the new study starts to get at a fundamental question. "This can help us in understanding why some people age more successfully than others," she said. "Why does one person have a stroke at age 60, while someone else lives to 100 and never has a stroke?" It's not clear why some people have "high" activation of inflammatory gene clusters, while others don't. But it's probably partly genetic, Fredman said. And there was evidence of that in the study, she added: Older people in the low-activation group were eight times more likely to have a least one close relative who'd lived to age 90 or older.